Capture special moments. Document travel adventures. Grow business with quality photography. 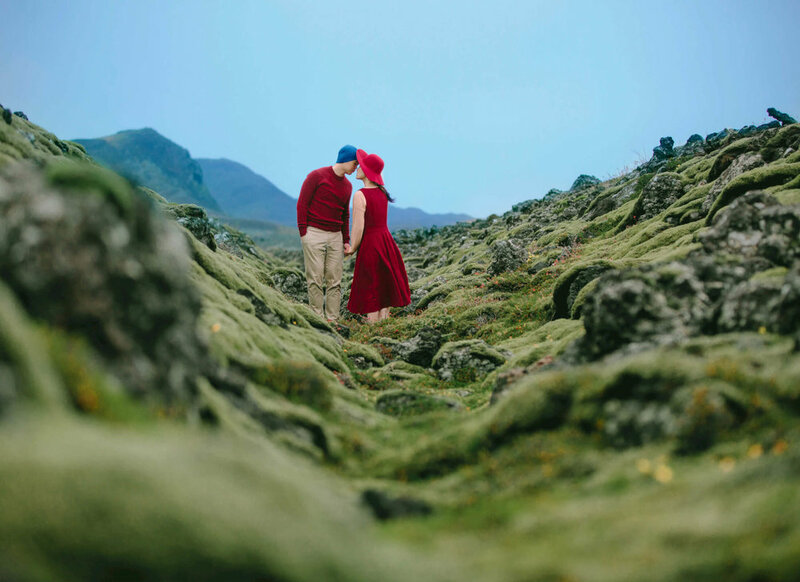 No matter your reason, one of Sprazzi’s experienced photographers in Iceland will capture the moments most important to you. It may comes as a surprise, but this Icelandic city’s downtown is vibrant entertainment and nightlife scene. Following the end of WW2, locals found solace in the joys of drinking, dancing and delicious food. This is the largest and deepest lake in Iceland and remains mysterious due to no visible water coming in or going out of the lake. It makes for a beautiful photoshoot destination! Home to the Blue Lagoon and the Kleifarvtan lake, this portion of Iceland is highly underrated. The beautiful scenery and volcanoes make for an experience worth documenting. This peninsula is home to one of many black-sand beaches throughout Iceland and remains a top destination for local vacationers and tourists worldwide. Aside from the unique black sand, this popular Icelandic beach has an impressive pyramid made entirely of basalt columns, which looks like a skyward staircase. The city of Reykjavik, which once existed as desolate farmland, has quickly become Iceland’s most popular destination and a bustling cultural center. The town is known for its quirky vibe blended with big-city living. Enjoy nature hikes, wild horse sightings and magnificent views of waterfalls and vast greenery. Beer is a big part of Icelandic culture, so expect to join in on the fun at one of the dozens of bars throughout the city. Sprazzi helps tourists and local alike capture their best Reykjavik moments. Browse our network to find professional photographers and book photoshoot packages today.